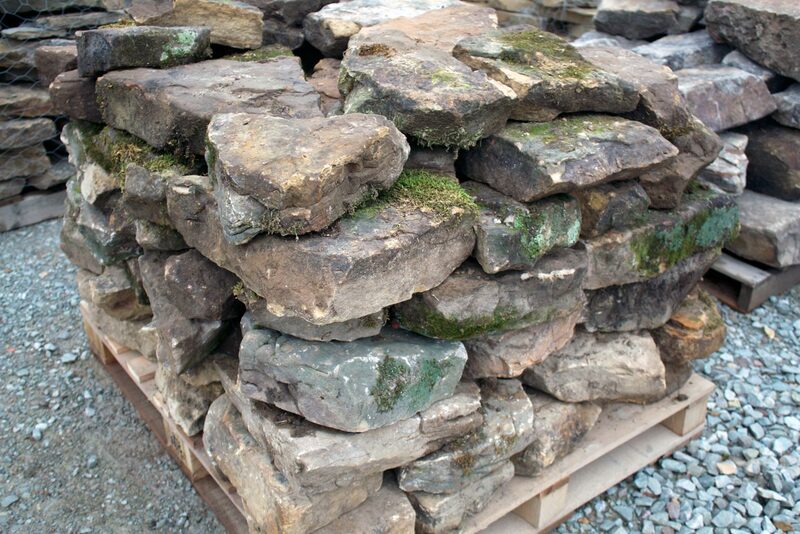 Green Stone is your central Indiana source for natural stone and landscape products including Retaining Wall Materials. 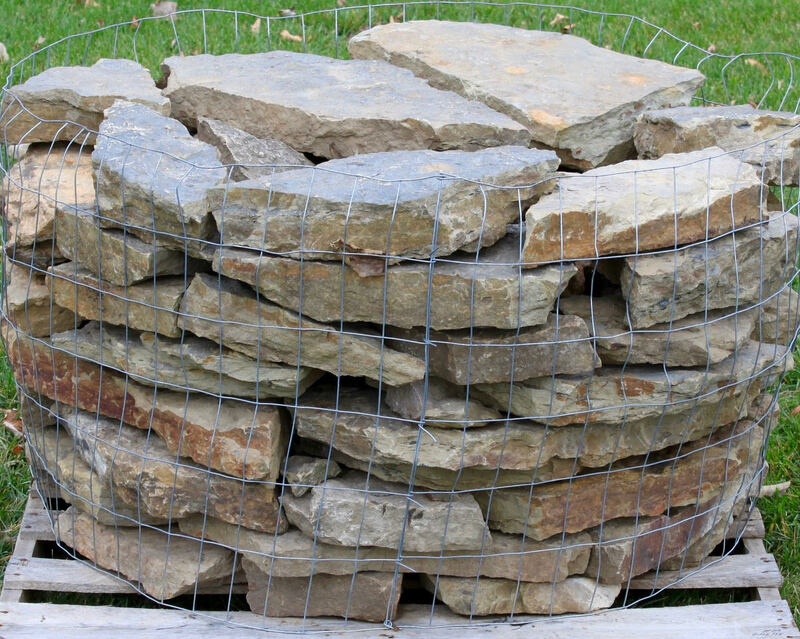 To view only Garden Wall products, CLICK HERE. 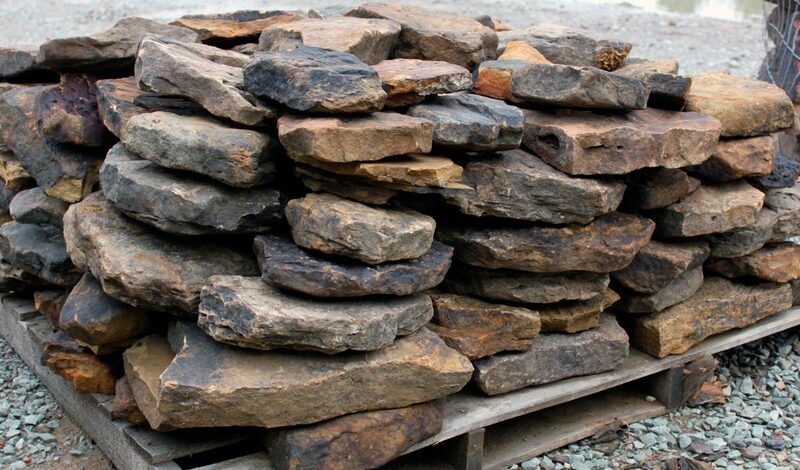 To view only Natural Wall Stone products, CLICK HERE. 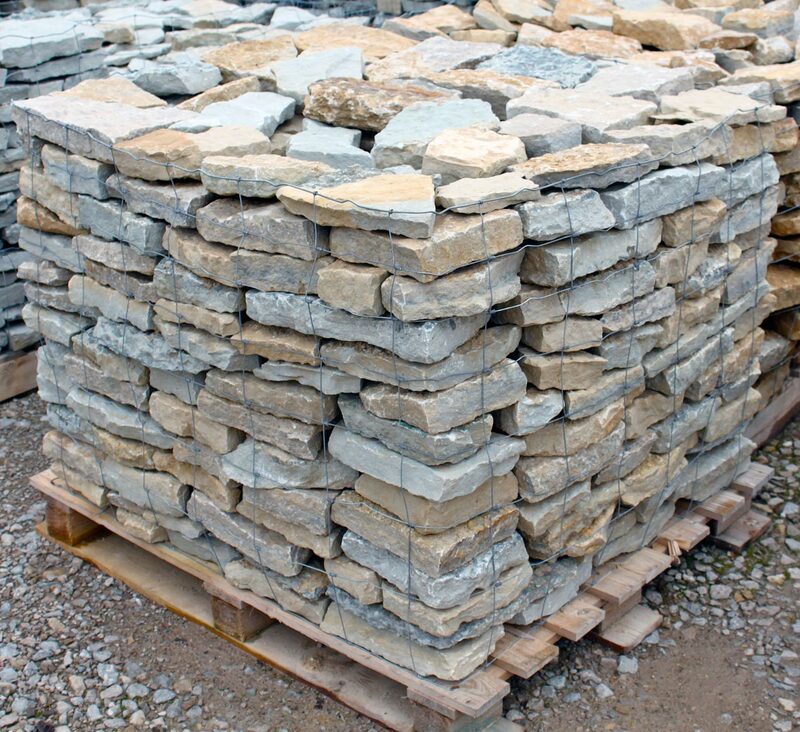 To view only Snapped Wall Stone products, CLICK HERE. 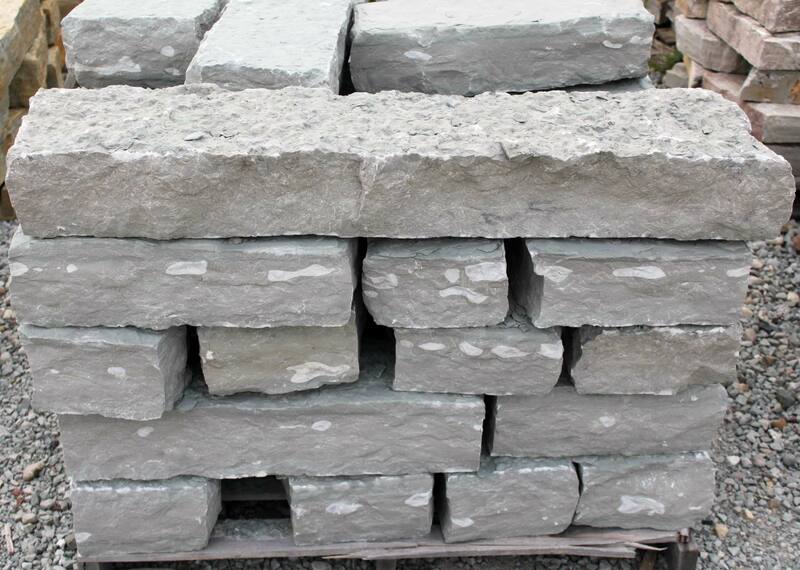 A beautiful gray to dark blue sandstone with a flat surface; will give a earthy feeling to your landscape. Heights average 3.5″ to 4.5″ and lengths of 12″ to 36″. Multi earthtone-colored sandstone. 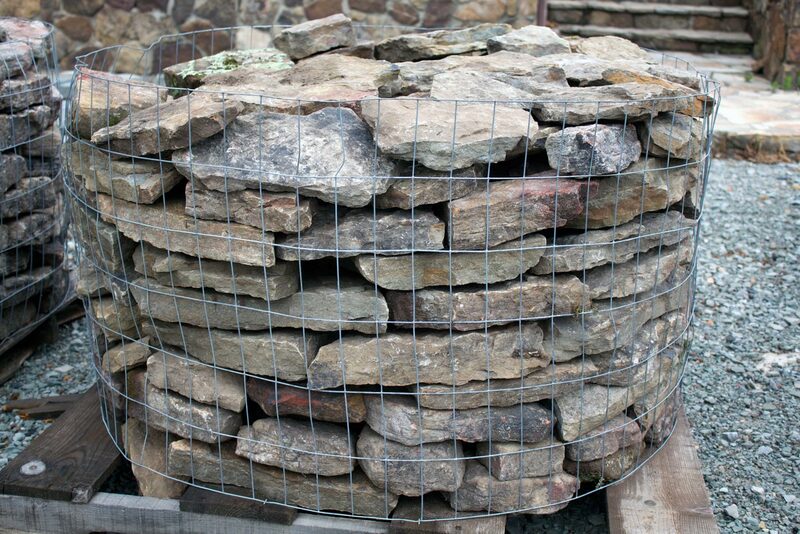 Snapped front and back with natural beds. Heights average 3.5″ to 4.5″ and lengths of 12″ to 36″. Light gray to olive green limestone with highly textured beds. Average thickness is 3-5” and approximately 12-24” in diameter. Coverage of 15 sf/ton. 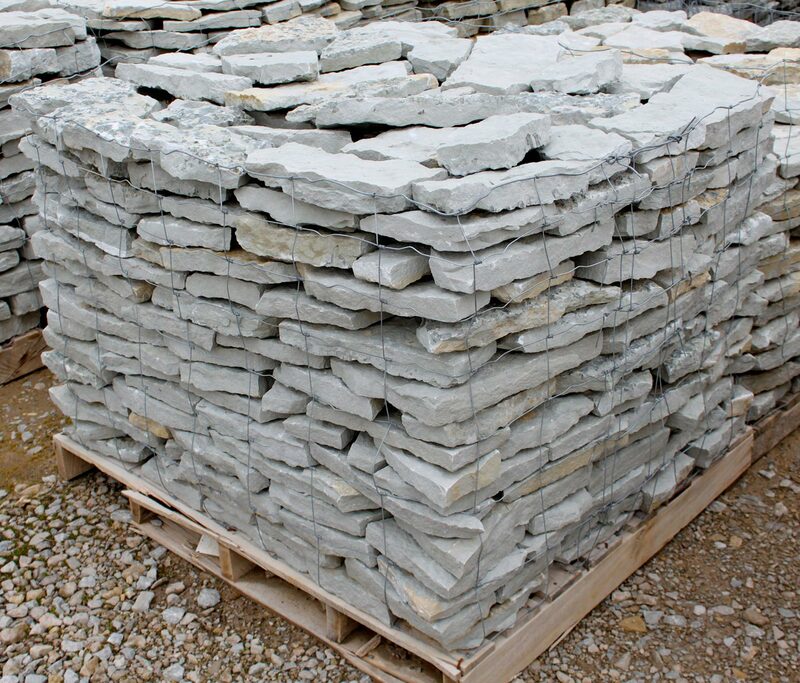 Light gray to olive green limestone with highly textured beds. 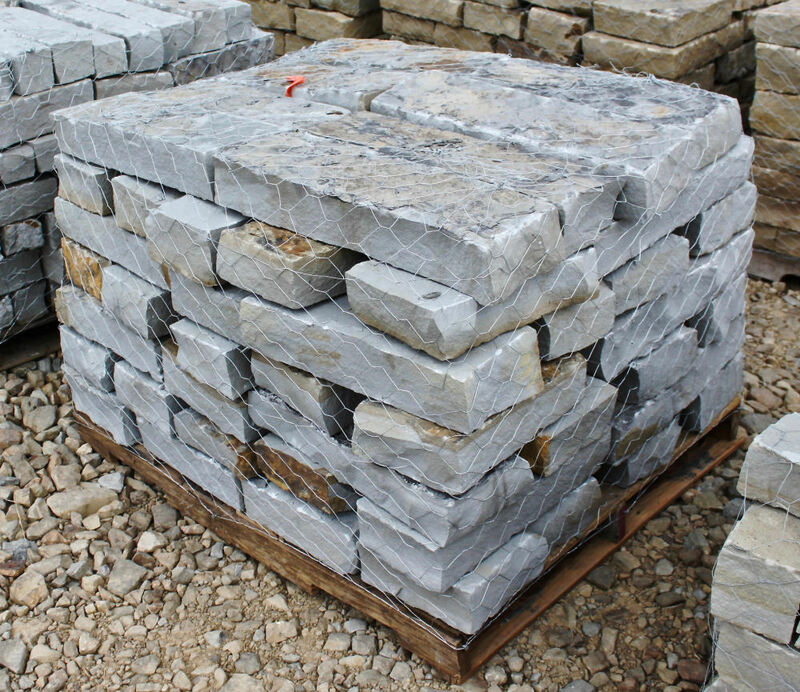 Stone is snapped to an 8” depth with average thicknesses of 5-7” and 8-24″ lengths. Coverage of 15 sf/ton. 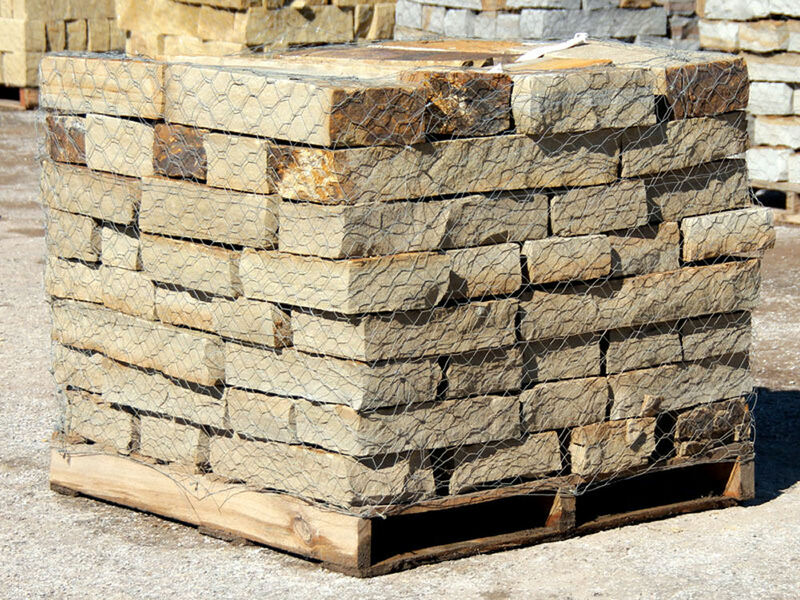 Light mocha brown sandstone with dark brown edges and highlights. Average thickness is 3-5” and approximately 12-24″ in diameter. Coverage of 15 sf/ton. Earth-toned sandstone with a vast array of colors ranging from rust to dark brown and tan with variegated copper swirls. 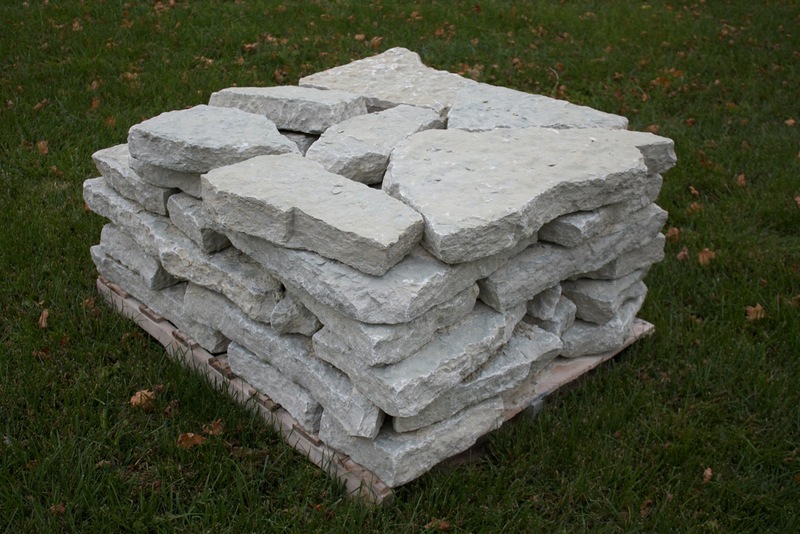 Stone is snapped to an 8” depth with average thicknesses of 3-5” and 8-24″ lengths. Coverage of 15 sf/ton. 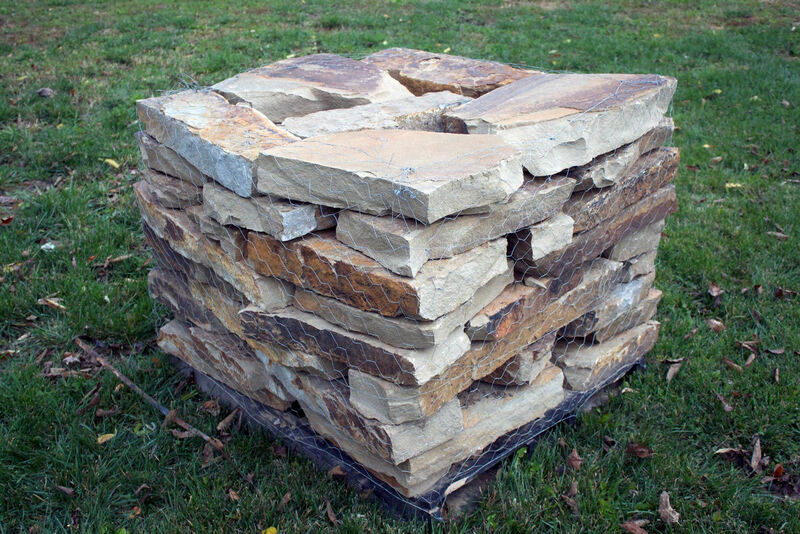 Flat & smooth sandstone with rounded edges. Colors range from tan or dark brown to black. Irregular shaped pieces with an average thickness of 3-5” and 8-24″ diameters. Coverage of 15 sf/ton. Flat, weathered gray, tan, brown and black colored Sandstone with moss and lichens. Lots of character, Average thickness of 3-5″ with approximately 8-24″ diameters. Coverage of 15 sf/ton. Flat, smooth textured Limestone. Colors range from light gray to buff. Average thickness is 1-3” and approximately 6-14” diameters. Coverage of 18-20 sf/ton. Flat, smooth textured Limestone. Colors range from light gray to olive. Average thickness is 1-3” and approximately 6-14” diameters. Coverage of 18-20 sf/ton. 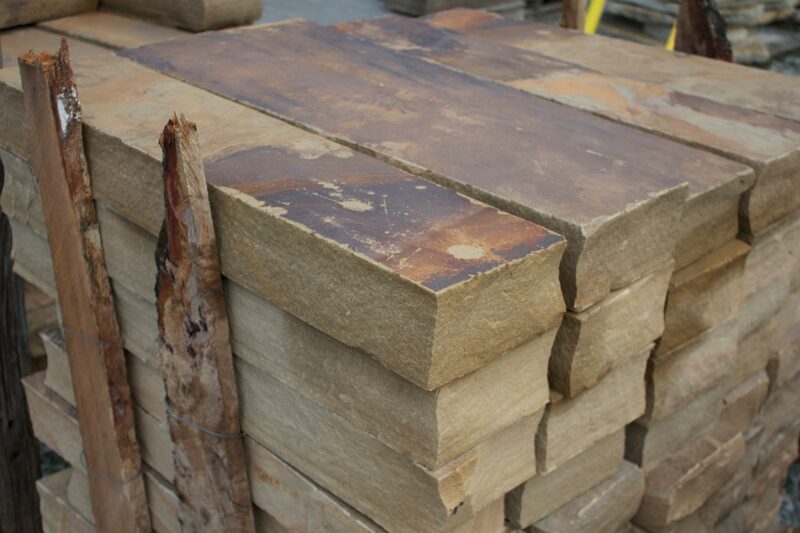 Flat & smooth Sandstone with rounded edges. Colors range from tan or dark brown to black. Irregular shaped pieces with an average thickness of 1- 3″ and 5-12″ diameters. Coverage of 18-20 sf/ton. Flat, weathered gray, brown and black colored Sandstone with moss and lichens. Lots of character, 2-3″ Irregular shapes with approximately 6-14″ diameters. Coverage of 15-18 sf/ton.